The Yucatan Peninsula in Mexico is so much more than just Cancun, Tulum and Playa del Carmen. If you look at the map of Yucatan, you can easily spend a few months in the area and still not explore everything. If you have just 2 weeks in Mexico, like most visitors, you need to think about your Mexico itinerary carefully. You can swim in cenotes, scuba dive with whale sharks, enjoy the white sand beaches, visit the ancient Mayan ruins, visit colonial towns and still have time to taste the nightlife. What to Do in the Yucatan Peninsula in Mexico? The best and the most convenient way to explore the area is renting a car. A car will give you the freedom to explore more and beat the crowds. You will appreciate having the ability to go places a bit off the beaten path and possibly save money over using taxis and shuttles. You can pick up a car right after you land in Cancun and begin your adventure by driving directly to Playa del Carmen. If you’re not up for a solo adventure for whatever reason, check out some group tours with G Adventures. Is Mexico Still Safe in 2019? Yes, absolutely. While the US government issued a warning against going to certain areas of Riviera Maya, the life there goes on normally, as usual. I’m confident in saying this as I used to live in Playa del Carmen during another travel warning and I was going places just fine. Plenty of tourists, locals and expats are enjoying Yucatan Peninsula these days. Playa del Carmen is much more than just a tourist spot with great nightlife. Even after a year of living here I still keep finding those hidden gems in and around town. Playa del Carmen is a great place to eat delicious Mexican food, shop till you drop and relax on the beach. There are also plenty of activities like jet-skiing, paragliding, snorkeling and much more if you’re looking for some adventures without leaving town. It’s a great place to start your adventures around the Yucatan Peninsula. You can base yourself in Playa for at least a few days while doing day trips. Since Playa is still quite touristy you can get more local experience by staying at a vacation rental rather than staying at the hotel. 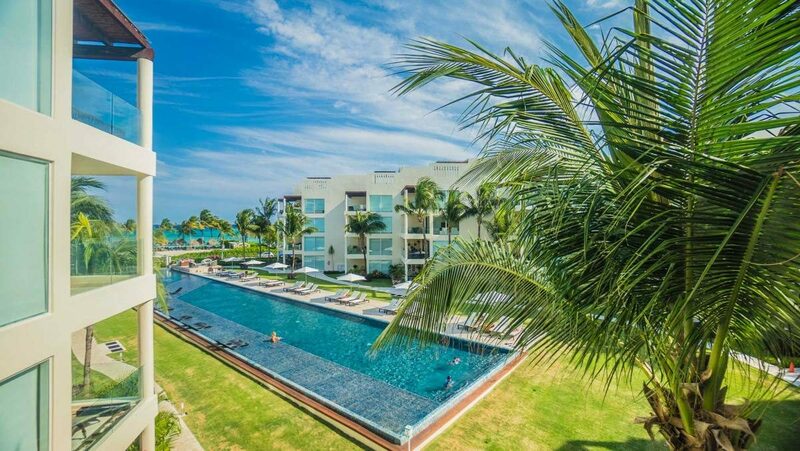 A rental in Playa del Carmen by BRIC Rentals will provide all the amenities you would have at home and the freedom to explore, all for about the same price as a hotel. They have been around for more than 10 years and have a large selection of condos, villas and apartments to choose from, so make sure to check them out! Their properties are luxurious, close to the beach and pretty affordable if you’re coming to Mexico with your family or a group of friends. Cenotes are a must-do in the Yucatan. What exactly are cenotes? There are cave formations and sinkholes, either open-air or completely underground. Use your own car or take a collectivo from Playa del Carmen and visit as many cenotes you can. Trust me, there are many cenotes to choose from! Each cenote is different: some have great diving, others are full of fish and great cliffs to jump from and sometimes you can even find a zipline or a swing! Catch the early morning ferry to the island of Cozumel. As the island is quite big, you should consider renting a car, buggy or scooter. You can snorkel on a gorgeous reef near The Money Bar. Then continue onto the Punta Sur reserve to enjoy the beach, play with some pygmy raccoons and maybe spotting a crocodile! Cozumel is also a great spot for diving, so make sure you save some time for this purpose. Akumal is a small village on the way to Tulum. 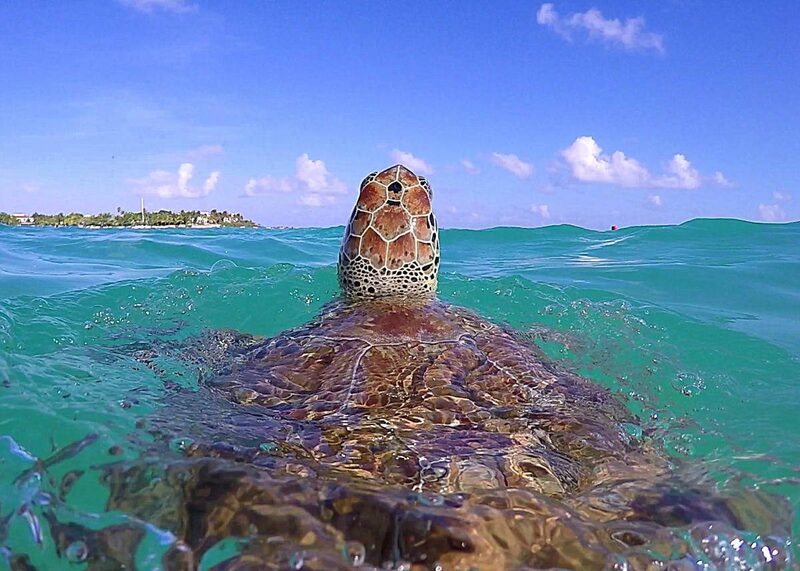 Do yourself a favor and stop at Akumal where you can swim with sea turtles for free. It’s one of the best things to do in the area! 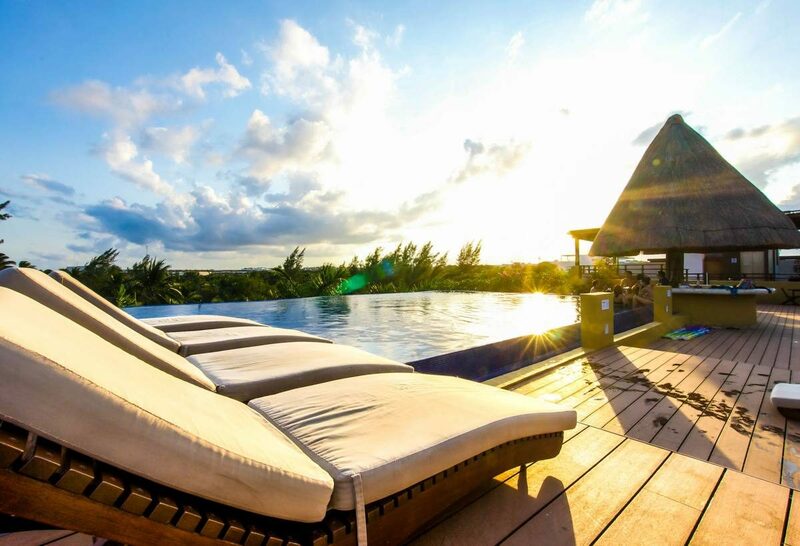 From Akumal, you can continue directly to Tulum and spend the night there. While there are many impressive Mayan ruins in the Yucatan Peninsula, Tulum’s beachfront location, perched on a cliff overlooking the Caribbean Sea, is hard to beat. Aim to arrive as early (or late) as possible to beat the crowds as the site gets pack around 10 am. 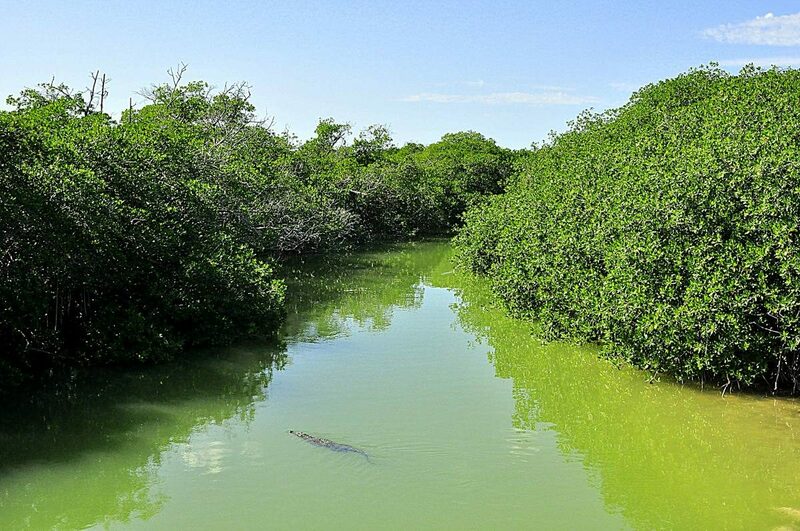 In the afternoon you can visit the Sian Ka’an Reserve where you can kayak among mangroves and spot some cute manatees. 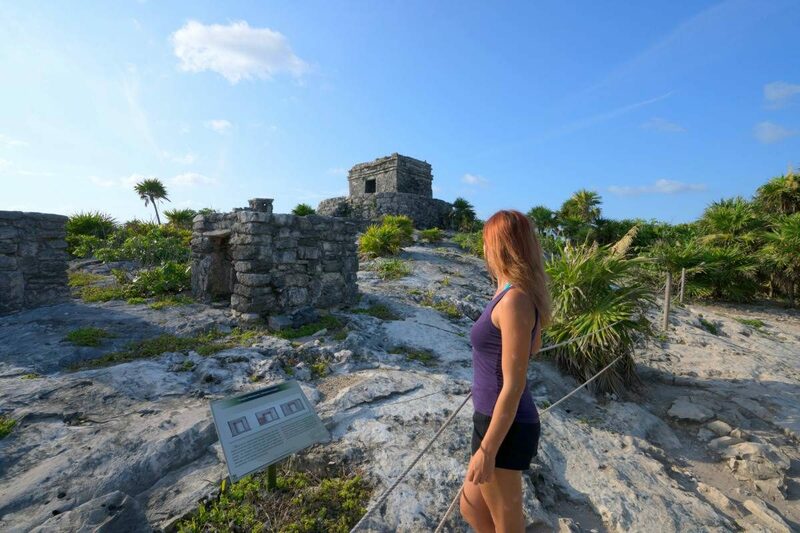 The ruins of Coba might not be as known as Chichen Itza, but the site is less touristy and you can still climb the main pyramid called Ixmoja. There are 120 stone steps up to the top, but it’s well worth the climb. Coba is way bigger than you might think at first so allow yourself to spend a few hours out there, but don’t worry – you can rent a bike to get around. A trip to Coba wouldn’t be complete without taking a dip in the refreshing cenotes nearby. For a small fee you get to see three amazing underground cenotes, in my opinion, the best in the Yucatan. Cenote Choo-Ha is my favorite, but if you’re an adventure seeker try to jump from a 45 feet platform at Tamcach-Ha cenote. Leave Tulum early in the morning and head to Chichen Itza – one of Mexico’s most visited tourist destinations and UNESCO’s World Heritage Site. 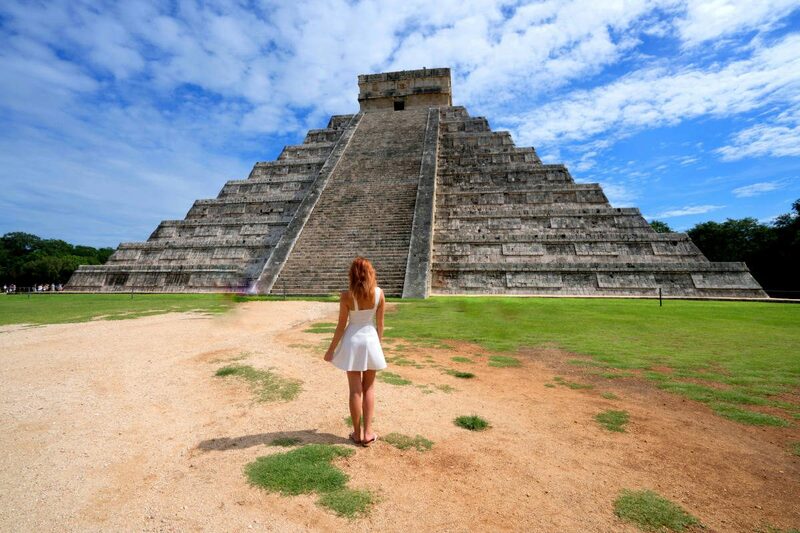 There are a lot of astronomical marvels at Chichen Itza, but one of the most exciting is the Descent of the Feathered Serpent on the main Pyramid of Kukulkan that happens once a year. A shadow play is created where a serpent head statue transforms into a full creature through the shadows of the pyramid’s terraces. Valladolid is a friendly colonial town on the way to Chichen Itza offering stunning architecture, including a 16th-century cathedral of San Gervasio. While some tourists still pass through Valladolid the city is often an overlooked destination, while there are plenty of things to do there. Local cenotes such as Cenote Zaci is a great alternative to overcrowded Ik Kil Cenote. It’s a good spot to spend a night in as well. Located approximately two hours from Playa del Carmen and even closer from Valladolid, Rio Lagartos is famous for bird watching and the densest concentration of flamingos in Mexico. You can admire the beauty of naturally pink lakes of Las Coloradas and cover yourself in mud as it’s a perfect skin treatment and moreover totally free! To get to Holbox take a ferry from Chiquila which leaves every hour. Isla Holbox is all about relaxing and beautiful beaches, but if you’re up for some adventure activities you won’t end up disappointed either. You can go horseback riding on the beach, rent a golf cart (as it’s the only vehicle allowed on the island) and rent a bike. Snorkeling and diving with whale sharks (from June to September) are also an option, but still, the best thing on the island are the hammock located right on the water and delicious lobster pizza. I suggest checking my Travel & Live in Mexico section to see what else you can do in Mexico’s Yucatan Peninsula! Want to read more about Mexico? Check out my Mexico: Travel & Live section! If you have any specific questions join my Mexico Travel Tips community group on Facebook. Don’t forget to arrange health insure before heading to Mexico. The easiest and the most reliable travel insurance is World Nomads Travel Insurance. Get it before your trip to skip unnecessary troubles that might ruin your holidays! We did a one week road trip around the Yucatan last year and one of our favourite spots that you didn’t list was the Ruta Puuc! It’s a bit of a distance to drive but the ruins are amazing and we even had multiple ruins to ourselves! We stayed at The Pickled Onion for a few days which I’d definitely recommend. Our favourites that did make it on the list would have to be Akumal (swimming with the sea turtles), Muyil/Sian Ka’an, and Valladolid – we loved that city! What do you suggest for 1 week? My boyfriend and I are planning to do an itinerary like this and you’re article made us even more enthousiastic! Could you give me an estimation about the budget we have to save to do this? It all depends if you’re staying in hostels, guesthouses or fancy resorts and if you wanan eat in touristy restaurants or more local spots. I’d say min. for 2 people would be around $500 for 2 weeks, but with nicer hotels maybe $1000? This looks like my ideal trip i plan doing for my birthday in march 2017. I was wondering how you managed the car situation. Ill be travelling with my boyfriend from the uk, how much roughly did the car cost, hire insurance, parking etc? And how did you find parking the car? Hello! Traveling to Mexico for the first time with my fiancee. In fact, we are going there to scout out wedding venues as we are planning to hold it there 🙂 at Dreams Riviera Cancun. Anyway, in response to this post, I have been on the fence about renting a car or going with private tours for certain activities. I’ve been going back and forth back and forth about it. I love driving and I’m adventurous and a risk taker. I usually rent a car on vacation; rented one during our last trip to Aruba. However, I’ve been scared to rent in Mexico due to fears about corrupt police and other things. Which location specifically do you rent from Alamo and Hertz in PDC because I see multiple locations. Thank you! your article is great and very helpful. I plan trip on The Yucatán Peninsula. Our journey will take 13 days. We want to rent a car. Is possible rent a car in Tulum and return it in Playa del Carmen? We want to also visit some interesting places, where there are not many tourists. Can you advise some place (for example nice small village, cenotes, hacienda, nice small beach…)? I plan to stay on Cozumel 3 days. What do you think, is it too long? I think you can have fun on Cozumel in 3 days, but you can also discover the whole island in 2 days for sure. Don’t miss Punta Sur! It all depends on which company do you rent the car from, but normally it’s possible. Have you seen my cenote post? There are plenty of recommendations there 🙂 I’d also suggest heading to Bacalar if you have some time. I think we will choose MEX Rent-A-Car for rent a car because you recommendation it in comment and I do not know another. Company is also in Tulum so I think it is good choise. 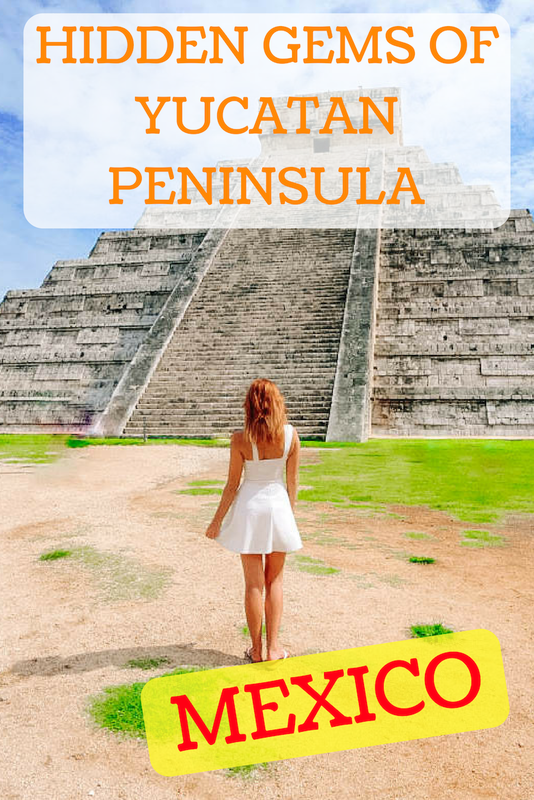 I would also recommend to visit Isla Mujeres, Las Coloradas, chichen itzá, Celestún (flamingos), cenote Ik Kil, cenote dos ojos in PDC, Izamal (the yellow town) and much more. i rented one car and never met a police officer. Thank you for your recommendation. We returned from Yucatán in February. We rented car for 4 days and we met a few police officer (maybe 8 times). They stop us 2 times on the way from Tizimín to Rio Lagartos:-) Fortunately we had no problems (we showed only driving licence). 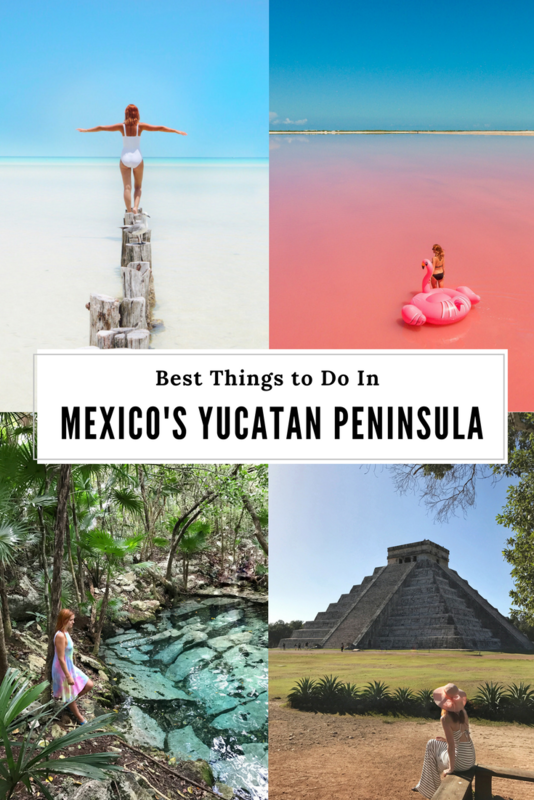 Just wanted to say thank you for this guide – we’re only going to be in Mexico for a week, but I suspect we may be back to visit all these places! 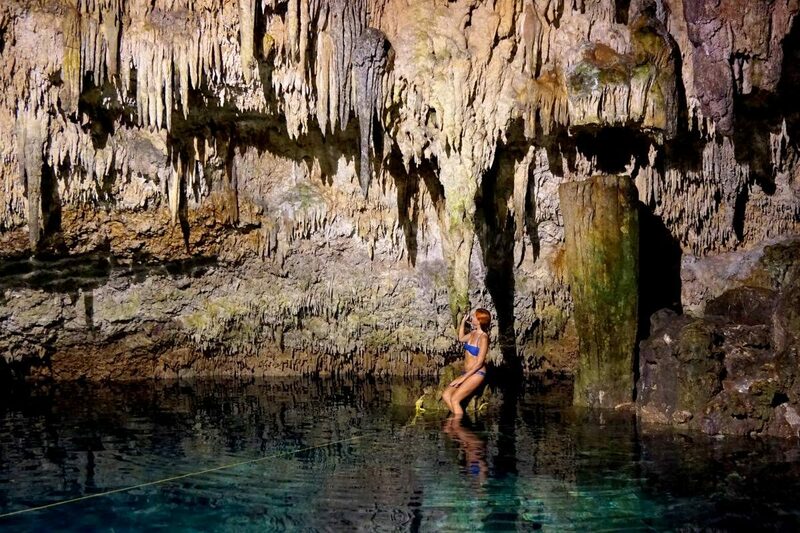 Last but not least, if you only have time to visit one cenote, which would you recommend most highly? We’re staying in Playacar, and would be up for a taxi/car rental to get off the beaten track if you’ve a favourite that’s hard to get to, but worth the effort! Great article! This would be a fab two weeks, although after travelling in Central America for four months, I’d urge anyone who has time to spend much longer in Mexico. You just can’t beat it for culture, food, history, people and cost! Can you also recommend a dive center in Cozumel? Our party of 3 consists of 1 diver and 2 who would like to snorkel. Hi Margie! I don’t have a direct recommendation for Cozumel (only for Tulum and Playa del Carmen as my friends manage dive shops there), but all I can say is that the reefs are so beautiful that you should be fine anywhere, especially when 2 of you want to snorkel. Awesome blog, thanks for all the hard work. Just wondering where do you think the best place to spend Día de Muertos is? We were trying to decide between Merida or Tulum / Playa del Carmen? Also do you know if we will be able to do anything else while Día de Muertos is on, e.g. will regular buses still be running? Or is a shut down everything kind of holiday? Everything will be open. There is a small parade in Playa, not sure about Tulum but since it’s a smaller place I’d doubt it. Xcaret park usually does a special event (http://en.festivaldevidaymuerte.com/) for this occasion which was fun last year. Which cenote would you suggest for first time divers? Also I am looking for a diver to go with us. Are Koox okay? Thank you for the awesome information! I would like to drive from Playa del Carmen to all of the hotspots in the Yucaton. Do u have any advice on safety tips ? I have read the UK and U.S goverment travel advice and They Both warn about car jacking. Are They being over cautious ? But in all seriousness, the area of Playa del Carmen and Cancun experienced a lot of problems this year due to drug wars, but it remains safe. Just like in the US, keep your eyes open, don’t leave the car unattended and you’ll be fine. Swimming with turtles is something I am yet to do. I just to be brave enough. No colectivos to the pink lake. It’s a very small town where the pink lakes are so your best bet is to stay at Rio Lagartos town (to get there you need to take a bus to Tizimin and find someone who can drive you to Rio Lagartos). Without a car it’s a tough and expensive trip. Then while you’re staying at Rio Lagartos you’d have to find a driver/taxi there (it’s tough to find taxis there) to take you to Las Coloradas. There are boat tours too, but even though they say they’re going to pink lakes they don’t. Thanks for all the great info. Can you give a recommendation for a car rental if I want to drive from the airport to playa del Carmen? Do you just want to drive to Playa? It’s going to be cheaper to get an ADO bus to Playa and rent a car there, than at the airport. Hi Anna I really appreciate this article because is so useful, I want to go for two weeks,but first I will go to Ciudad de México, can you recommend me a spot for rent a car, because I was looking and I saw for internet cheapest prices but I read your comments and you said that is a fraud. One of the best natural tourist destination in the World. I have already visited by the guide of Oscar Cancun Shuttle Service. Amazing places with great experiences. What about Merida? As one of Mexico’s most beautiful, culturally-rich and safe cities, I would expect that you would visit it in your tour of the Yucatan. Yes, it’s slightly inland from a beach, but it’s full of life and wonder. Hey Anna , my husband and I are trying to get to yutican province at the end of September , it’s the only time we can go , is the hurricane season really that bad and secondly is it expensive to get a driver to Chichen Itza from Tulum for example or are we better to hir a car ourselves ; we are in our 50’s but are fit and love adventure . Hey, I’ve read what kind of car you can reccomend to rent in Yucatan Penisula. You mentioned America Car Rental. I’ve read a lot of negative oppitions about that car rental though. Ppl said it’s a scam and they charge you more than you had to pay at first. Can you tell me more about that? Second question is about crossing boarder. We would like rent a car which allows you to cross Belize adn Guatemala as well. How we can do that? Have you read my article on renting a car in Mexico? 99% of cars cannot be driven through the border.